The Thinkery, 1830 Simond Ave is the new Austin kid’s museum. This super fun museum will be enjoyable for kids of all ages. There are always new events and exhibits to check out. Keep Austin weird, even with a museum. Go check out Austin’s Museum of the Weird, Museum of the Weird, 412 e. 6th st. UFO’s, ghosts and bigfoot are some of the exhibits you’ll see. Might be better for the older children or those that don’t scare easily. For those awesome Austin winter days when it’s 70 degrees, and your tired of your kids being cooped up in doors, you can take the kids to explore at the Jourdan-Bachman Pioneer Farms, 10621 Pioneer Farms Rd. The living history museum has campouts, nature workshops, and plenty of room to run and explore. The Austin Steam Train, 401 E. Whitestone Blvd and the Austin Fire Museum, 401 E. 5th st. are great for a day trip. Don’t forget the Texas Bullock Museum, 1800 N Congress Ave. Great gift shop. Make sure and see an Imax while you’re there. Different exhibitions. Lots to touch. Children’s Museum of Houston, 1500 Binz, Houston, TX 77004. 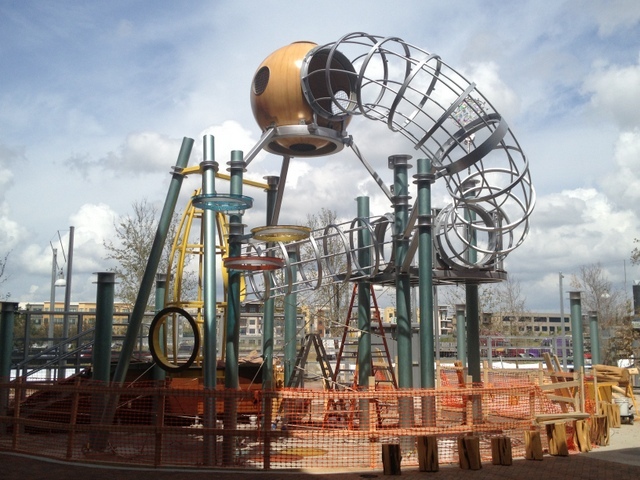 Playground for your mind exhibit. A museum great for all ages. The Houston Museum of Natural Science, 5800 Caroline Street Houston, TX 77030. Great Samurai Warrior exhibit right now! This is one of the most heavily visited museums in the nation. 14 permanent exhibitions to enjoy as well. George Ranch Historical Park, 10215 FM 762 Richmond, TX 77469. 30 miles southwest of downtown Houston. Located on a 20,000-acre+ working ranch featuring historic homes, costumed interpreters and livestock. Texas State Railroad, established in 1881. Rusk Depot is located at Park Road 76, Rusk, TX 75785. Palestine Depot is located at 789 Park Road 70, Palestine, TX 75801. Known as a true “Texas Treasure:. This historic railroad offers steam and diesel excursions that travel through the scenic piney woods of East Texas. Special events and dinner trains held throughout the year. 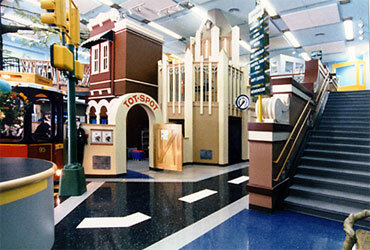 San Antonio Children’s Museum, 305 E. San Antonio St, San Antonio, TX 78205. New exhibits include the Do Seum Traveling Exhibit Gallery, Imagination Playground, Artist Square, and Student Art Gallery. H-E-B Free Family Night is Every Third Tuesday of the month from 5pm-7pm. Adults and children are free! Buckhorn Museum & The Texas Ranger Museum, 318 E. Houston St., San Antonio, TX 78205. Two museums in 1 right smack downtown. The Buckhorn museum has over 520 wildlife species displayed. The Texas Ranger Museum, houses hundreds of Texas Ranger artifacts including revolvers, automatic handguns, sawed off shotguns, badges, photographs and much more. Guinness World Record/Ripleys/Tomb Raider Museum, 329 Alamo Plaza, San Antonio, TX 78205. Enjoy a combination of world record artifacts, exhibits, videos, touch screen computers, games, and interactive trivia Featuring the NEW attempt area. Take a chance at breaking a world record during your visit! Journey down into the ancient tomb of the Egyptian God, Anubis in our adventure Tomb Rider 3D! Test your bravery at the Haunted Adventure and feel free to scream your head off! Fort Worth Museum of Science and History. 1600 Gendy St., Fort Worth, TX. Exhibits, Omni IMAX and Planetarium. The Ft. Worth Children’s Museum is a permanent exhibit as well as the DiniDig. There’s also a new exhibit on animation art opening in February which looks fabulous for kids! The Center for Creative Connections in the Dallas Museum of Art, 1717 North Harwood. A 12,000 square foot interactive art space for kids and families where kids and teens can learn, play and create. The Heard Nature and Science Museum, 1 Nature Place, McKinney. Founded in 1967, the Heard consists of a 289 acre wildlife sanctuary and a natural science museum for the primary purpose of educating children about nature. The Heard exists to bring nature and people together to discover, enjoy, experience, restore, and preserve our priceless environment.